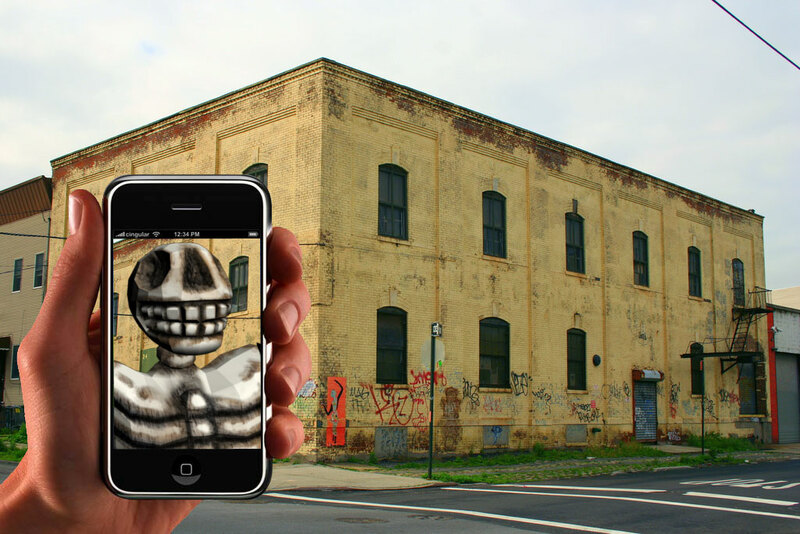 Curated by Mark Skwarek, this project will overlay the Bushwick area with a site specific augmented reality that is viewed on mobile devices like iPhones and Androids. Viewers may walk around the Bushwick area and see 3d virtual objects as art, mixed with physical reality on their phones. The project will showcase a variety of artists and different styles of augmented reality. 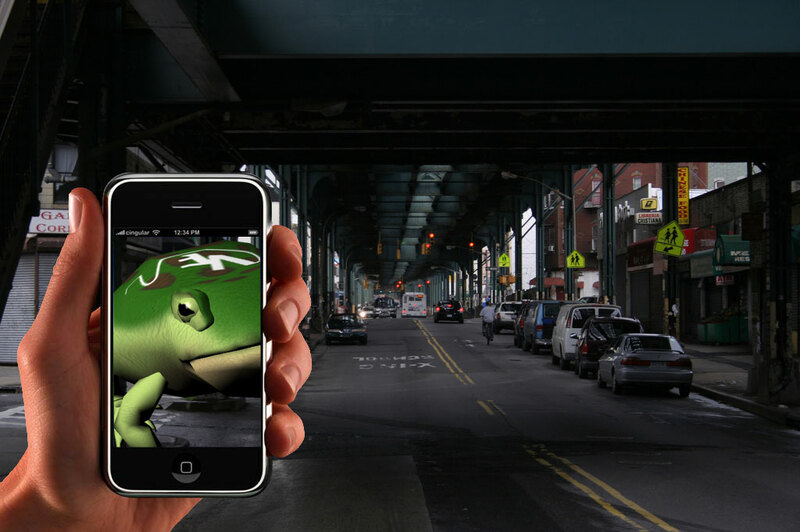 Both the VF Bufo Toad and the Border Memorial Calaca in the Bushwick Augmented Reality Intervention, part of the 2010 Beta Spaces Exhibition. Buskwick AR Intervention, The Border Memorial: Frontera de los Muertos in Bushwick, Mark Skwarek and John Craig Freeman. Install the Layar app on a mobile device and search for Bushwick Augmented Reality Intervention. Bushwick AR Intervention, Virta-Flaneurazine, Bufo Virtanus, Will Pappenheimer and John Craig Freeman. 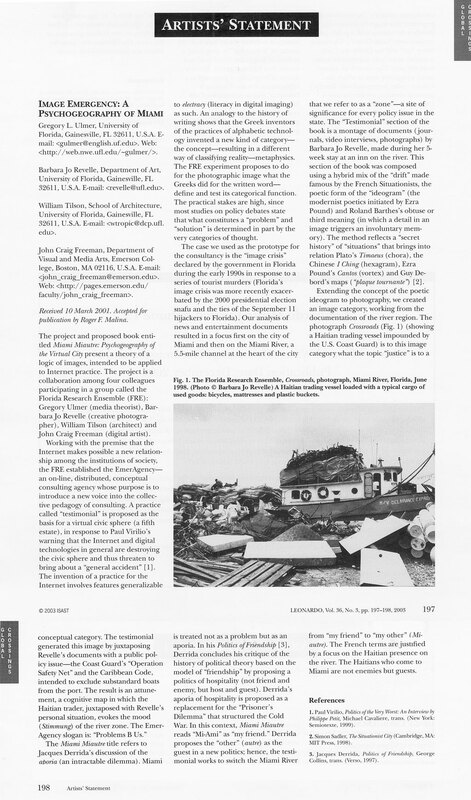 This entry was posted in Augmented Reality, Exhibitions, Public Art, Virta-Flaneurazine and tagged Augmented Reality, Bushwick AR Intervention, Manifest.AR, Mark Skwarek, Will Pappenheimer. Bookmark the permalink.